Former Christie Allies Found Guilty on All Counts in Bridgegate TrialBridget Anne Kelly, Christie’s former deputy chief of staff, and Bill Baroni, a Christie appointee at the Port Authority. The Bridgegate Trial Has Destroyed What Was Left of Christie’s ReputationThat doesn’t necessarily mean the defendants will be acquitted, though. Bridgegate Opening Statements: Chris Christie KnewGovernment prosecutors and multiple defendants all point fingers at the governor. Kornacki: GWB Lane Closure More Than Traffic JamThe MSNBC host thinks Chris Christie’s aides may have been trying to permanently damage Mayor Mark Sokolich’s legacy project. George Washington Bridge Scandal Documents Reveal Chaos, Cover-up, and Cursing But no direct link to Chris Christie. 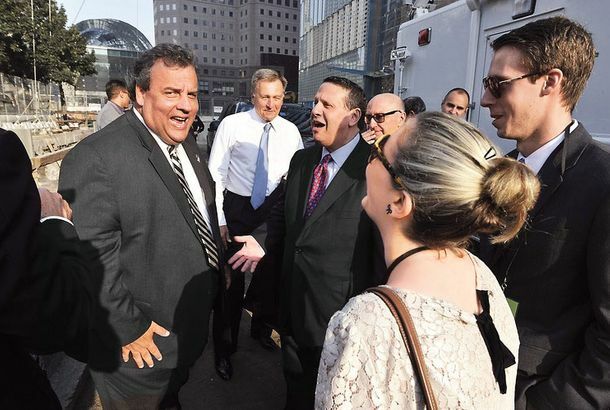 Christie Tries to Get Away From Bridge ScandalAnother one of his Port Authority appointees resigned on Friday.